When the first iPhone came out in 2007, third-party apps were limited affairs: glorified web apps without a lot of access to the iPhone’s more advanced functionality. According to a new blog post from Eleks Labs, a developer working on an Apple Wacth Tesla app, the same could be true of third-party Apple Watch apps when the wearable launches in April. According to Eleks Labs’s Markiyan Matsekh, the company’s mobility business developer, the technical capabilities of the Apple Watch developer API, WatchKit, are still far removed from what Apple showed during the Apple Watch keynote. 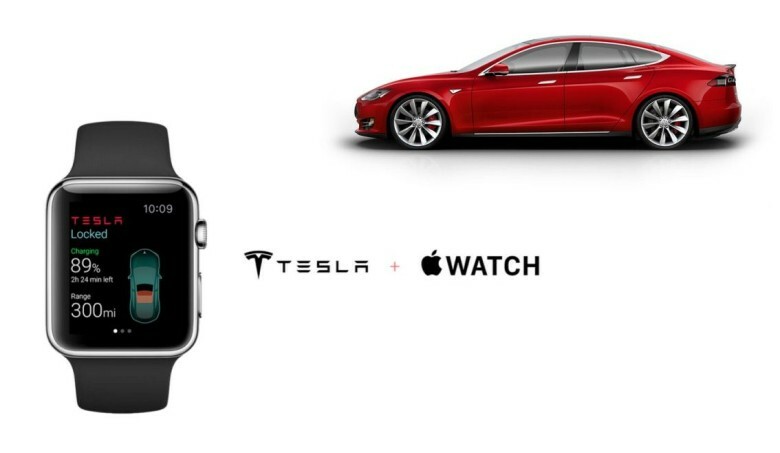 As they created a prototype Tesla app that would allow Apple Watch users to control a Model S over the Internet from their watchface, Elek found a host of problems that got in their way. For example, developers do not yet have access to several of the Apple Watch’s built-in sensors, including the gyroscope, accelerometer, Taptic Engine, speaker, or microphone. Even worse? Developers can’t actually use the touch screen. Developers do have access to Force Touch, which is used to display the shortcut menu, but that’s it. That means, for example, an Apple Watch app can not have its own custom, on-face, tappable UI. Briefly speaking, Apple Watch is simply an additional monitor to your iPhone and it can’t do anything by itself… As we can see now, Apple Watch without an iPhone is actually nothing more than a useless toy. Ouch. Of course, despite all of this, the Elek Labs team put together a Tesla app that they seem proud of, but one that is very limited compared to their original vision. That’s all disappointing, but keep in mind that the original iPhone apps were very limited too, and just a few years later, they did pretty much everything a laptop or desktop app could do. The Apple Watch will need some time too.